For a great thanksgiving tradition. Go to local bowling alleys and ask for 12 old pins, they should be able to give you some as they get beat up fairly often. 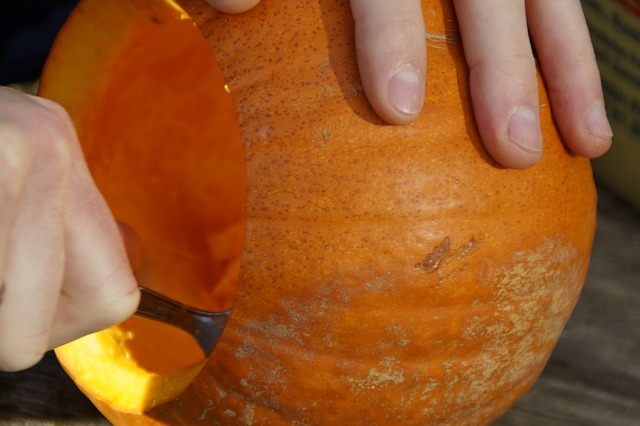 Cut the top off a pumpkin and hide a prize in the bottom of the goo.